A very tidy, well maintained cottage with delightful original features. Separate lounge, a formal dining room, separate kitchen/laundry combined, 1 double bedroom and a single, both with built in wardrobes plus a sun room. Outside is a semidetached sleep-out with own modern shower, W/C and vanity. It is attached to the home with a covered walkway making it ideal for a close family member wanting some independence. 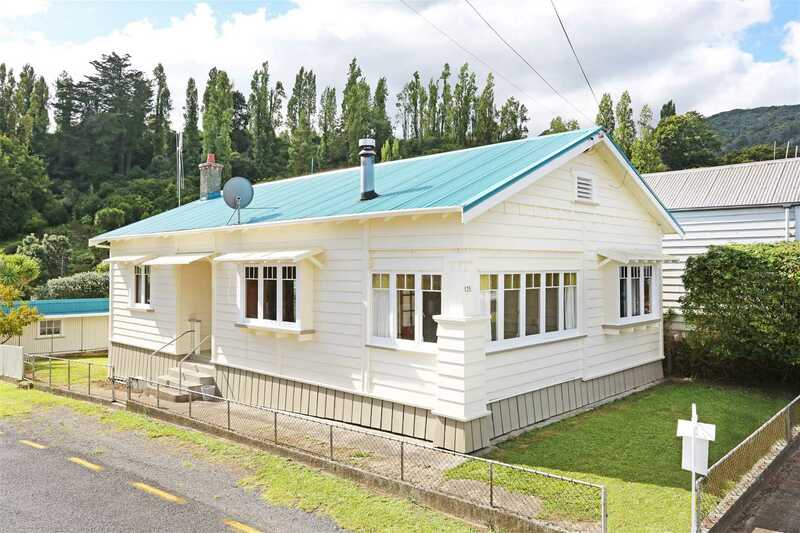 Fully insulated with recently painted weatherboard cladding and iron roof. Much of the original character of the interior has been retained including the wide stained doorways and window frames, ceiling dome in the lounge, some stained glass, and timber panelling in the bathroom. The property includes a single lock up garage, has new wide concrete paths, is fully fenced and flat. With beautiful views of the bush, baked in all day sun, this small easy care and secure section is ideal for occupiers who want low maintenance, ideal for retirees, first home, families or investors.